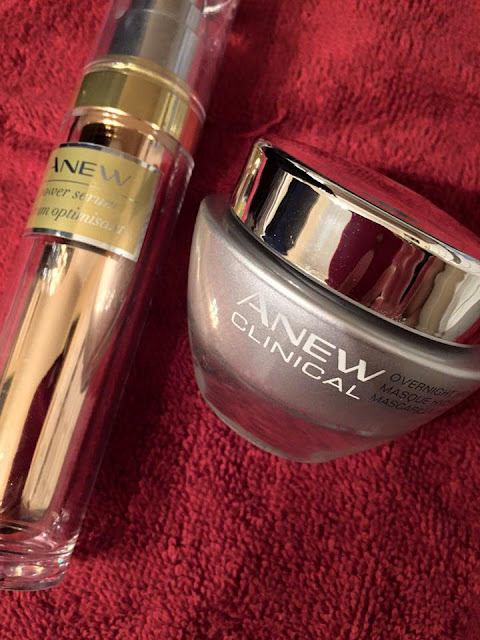 Avon Anew Clinical Products review. Anew Clinical Overnight Hydration Mask and Anew Power Serum Amazing products that I’ve been using ever since their launch. I use it along with my Anew Vitale skincare line. I love my Anew Clinical Overnight Hydration mask no smell to it. I love that is a gel format goes on smoothly a small amount goes a long way… My experience with the product is to wake up with very supple skin in the am, I’m in love with it. 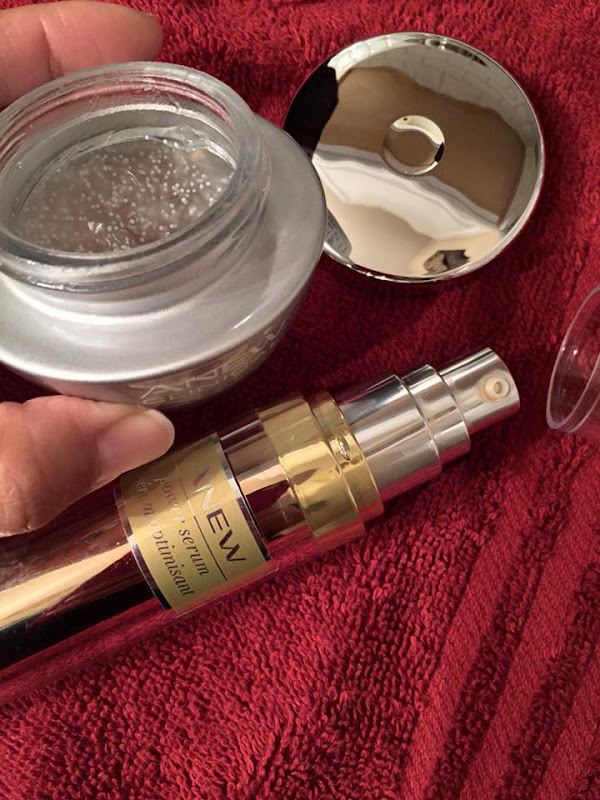 As to the Anew Power Serum, I like to use it in the am before I apply my Anew Vitale skincare line with cleansed face of course., lol. 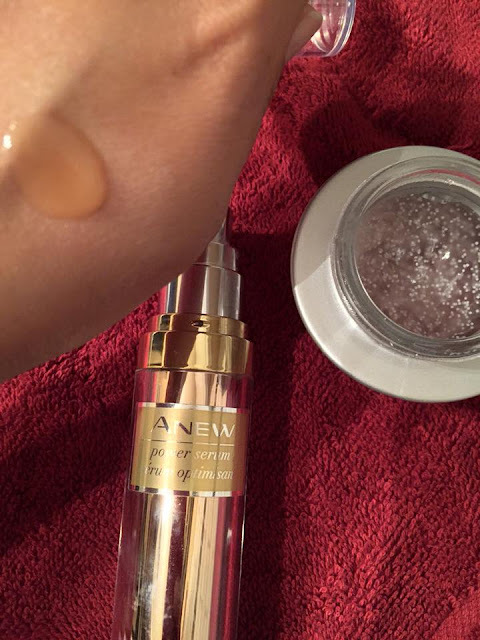 The smell on the Anew Power Serum is Lovely just perfect such a lightweight formula, it won’t leave your skin oily just perfect dry quick and then apply your Anew favorite skincare. The reviews from customers are amazing on this wonderful Anew Clinical Treatments. TO USE Use at nighttime, 3X a week over your favorite night cream and leave on overnight. In the morning your skin looks dramatically hydrated…and visibly younger! ** Won’t stain your pillow. Take your anti-aging skin care routine to the next level with the Anew Power Serum. This firming and smoothing serum is based on Nobel prize-winning research which resulted in the product to detect and repair visible skin damage. Advance boost technology works to hydrate your skin, smooth visible roughness, and wrinkles, and return firmness to your face. It’s so effective that 93% of women agree that it dramatically improved skin’s appearance. * Anew Power Serum is a great compliment to your current skin care routine and works well with moisturizers. 1 fl. oz. This is my favorite treatment ANEW Clinical Overnight Hydration Mask. Shop with confidence our products are magnificent. I love to share the best with my Avon customers online. eBrochure | AVON. Shop Avon’s top-rated beauty products online. Explore Avon’s site full of your favorite products, including cosmetics, skincare, jewelry, fragrances, and much more.